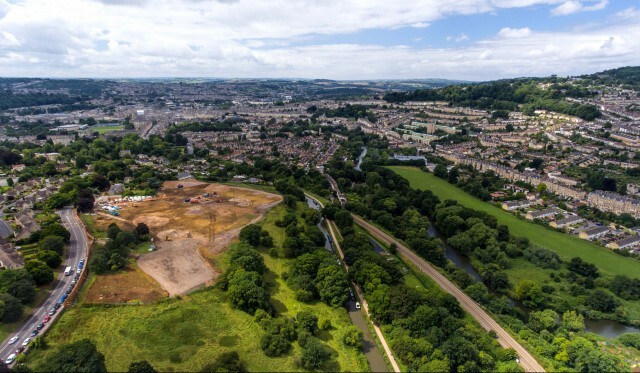 A former Ministry of Defence site in Bath is being transformed into a new neighbourhood of over 250 classically-styled homes, named Holburne Park, with expansive views of the city’s historic skyline and open countryside beyond. CampbellReith’s Bristol office is proud to have been appointed by the developer, Hardrock Developments, to provide civil, structural and geotechnical engineering support to the delivery of the scheme for this 6.6 hectare site. 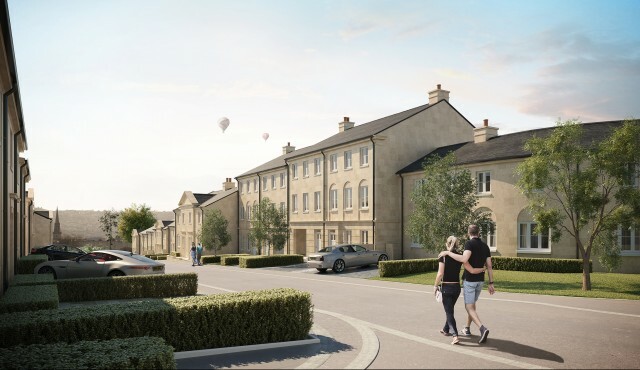 Designed by the leading classical architect Robert Adam, whose firm designed the Duchy of Cornwall’s acclaimed Poundbury in Dorset, the homes are arranged to create an intimate village feel. The façades of the homes will be made of locally-sourced Bath stone and natural materials with bespoke detailing. Many of the homes feature flexible living spaces as well as formal living rooms, open plan designs and garages or parking spaces. The sloping site, a common feature in Bath, offers the properties 180 degree, uninterrupted views of the city’s skyline and for miles beyond, but also provides significant engineering challenges. We have overcome these by working closely with the developer, the design team, B&NES Council and Wessex Water since being appointed in January 2016. Technical approval has been obtained for the internal site roads, for two new access points onto the A36, Warminster Road and for the foul and surface water drainage designs with discharge into the Kennet and Avon canal for all surface water run-off. We have provided Approval in Principle documents to B&NES and full design for 22 structures supporting the adopted roads on the site, including retaining walls and large, buried attenuation tanks. Our geotechnical engineering expertise has helped resolve typical Bath geological challenges including deep historical landslip and slope stability issues for economic foundation and stabilisation solutions. Structural engineering support is provided to the timber frame and full design for the traditional masonry house types including bespoke design for solid Bath Stone lintels, foundations including partial basement construction and pile designs and for seven, multi-storey blocks of flats including two which are cut into the slope adjacent the A36 by three storeys.